In light of recent events, most notably that of an incident involving the Cury Hunt which led to an elderly couple and their dog being attacked by hounds on a Cornish beach, we ask that the National Trust revoke all licences given to Hunts to use their land. In regards to fox hunting, The National Trust state that "Following the Hunting Act of 2004 we grant licences for trail hunting, i.e. the following of an artificially laid scent, where this is compatible with local circumstances." However it is clear that the majority of hunts continue to do so illegally under the guise of 'trail hunting'. An organisation that works for the conservation of wildlife and the safeguarding of nature should not stand by and allow their land to be used for illegal and cruel activities. In light of recent events, most notbaly that of an incident involving the Cury Hunt which led to an elderly couple and their dog being attacked by hounds on a Cornish beach, we ask that the National Trust revoke all licences given to hunts to use their land. In regards to fox hunting, the National Trust state that "Following the Hunting Act of 2004 we grant licences for trail hunting, i.e. the following of an artificially laid sent, where this is compatible with local circumstances." However it is clear that the majoirty of hunts continue to hunt illegally under the guise of 'trail hunting'. An organisation that works for the conservation of wildlife and the safeguarding of nature should not stand by and allow thier land to be used for illegal activities. Please join us in protesting against 'trail' hunting on National Trust land, at the National Trust AGM this Saturday in Swindon. Full details and RSVP here! Member of the National Trust? You can vote online now to end hunting on Trust land. 1 -> Go to the voting website (http://bit.ly/2gJ6iq1). 2 -> Log in by entering your name, surname, membership number & post code. 3 -> Click the AGM resolution button. 4 -> Nominate Helen Beynon, the resolution's author, as a proxy. She can then use your votes to support the resolution to shut down so-called 'trail hunting'. 5 -> Click the 'Next Page' button. 6 -> Review your choices, then click 'Submit'. On October 21st we will be holding a day of action at the National Trust HQ to demonstrate support for the resolution to end hunting and to raise awareness for the campaign. 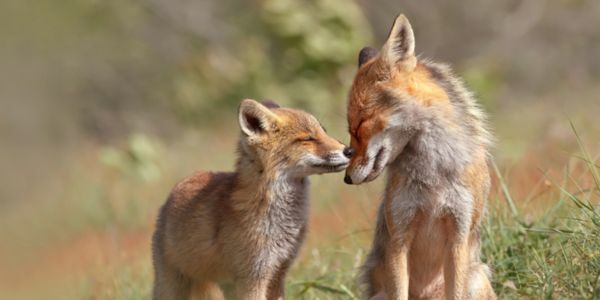 If you are free, please visit the 'Keeptheban' page on Facebook to find all of the details. Thank you.